Bragi has announced the rollout of OS 2.1, the next major software update that brings a handful of new features to its Dash hearable. First up, the Dash will now sync with Google Fit and Apple's Health Kit platform, which will be welcome news to those using Bragi's hearable to measure health data. Bragi also mentioned that Apple Watch support is coming, but it's just not working yet, so we expect to see it soon, hopefully in time for the arrival of the Apple Watch 2. Second, the Dash is getting on-demand heart rate tracking, while another new feature, Touch Lock, will stop you accidentally causing any unintended interactions - no accidentally pausing the music when you scratch your ear. There's also a new Shuffle feature for the internal music player, while the update also brings support for four new languages: Chinese, French, Spanish and German. 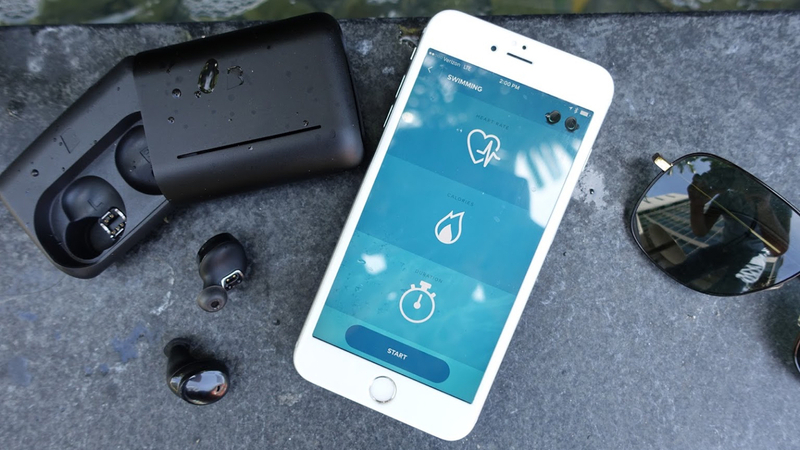 The new update comes as Bragi announces its new hearable, the Headphone, which is similar to the Dash in design but removes the fitness tracking smarts in favour of other features. You'll be able to listen to music, take calls and deliver voice commands, and Bragi admits it's no coincidence the announcement comes on the eve of the iPhone 7 reveal - which is rumoured to be dropping the headphone jack. Bragi has also announced it's teaming up with IBM to demonstrate how wearables can be useful in the workplace. By combining its earphones with the IBM Watson platform, Bragi says its devices could translate what coworkers are saying in other languages, or be used by higher-ups to keep track of the location and safety of their minions. There's nothing concrete here beyond the announcement of the partnership itself, so we wouldn't expect to start seeing Bragi invading the workplace immediately. Still, the hearables invasion is inevitable, and we're ready to welcome it with open arms when it happens.